If you enter the Croatia at the border crossing Rupa: By road A7/E63 (toll EUR 1) drive towards Matulji, where the junction of the same name before you descend the pass on the road B8/D3. After little more than one kilometer descend (at traffic light) on the "Kvarnerska Cesta" (D8) to Opatija, and when you reach the rotor turn right at Nova cesta (D66/E751). Driving through the "Nova cesta" which extends its entire length over the entire city of Opatija, you can quickly reach the desired part of the city. Approximate distance from the border crossing Rupa to Opatija: 21 km. If you enter the Croatia at the border crossing Pasjak: On the border continue driving on the road D8, and after six kilometers per junction ''Rupa'' turn to the road A7/E63 (toll 1 EUR). Drive then to Matulji, where you descend to the road B8/D3, before the junction “Matulji”. After little more than one kilometer descend (at traffic light) on the "Kvarnerska Cesta" (D8) to Opatija, and when you arrive to the roundabout, turn right on the Nova cesta (D66/E751). " Nova cesta " runs its entire length over the entire city of Opatija, and you can very quickly reach the desired part of the city. Approximate distance from the border crossing Pasjak to Opatija: 25 km. If you arrive in Opatija, from the direction of Karlovac and Zagreb: After bypass D3 pass the Rijeka, get off at junction Matulji, on road "Kvarnerska Cesta" (D8) to Opatija, and when you arrive to the roundabout, turn right on the Nova cesta (D66/E751). " Nova cesta " runs its entire length over the entire city of Opatija, and you can very quickly reach the desired part of the city. For more information on road conditions and road network in Croatia, you can visit www.hak.hr. The nearest international airport is located on the island of Krk in Omišalj, which is located approximately 40 kilometers from Opatija. From Rijeka airport to Opatija you can come by bus, using a taxi or hiring transfer vehicles. 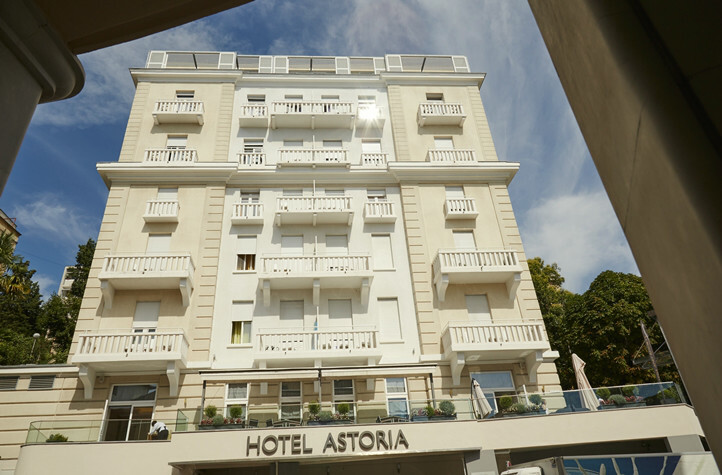 You can also land at the airport Pula, which is located approximately 90 kilometers from Opatija. Web address of the airport Rijeka www.rijeka-airport.hr. In Opatija, there is no train station, but it is located in the neighboring municipality of Matulji away only four kilometers and 15 kilometers away in Rijeka. All information about the train schedule can be found to web page www.hznet.hr. Opatija is very well connected by bus with all major Croatian cities, and there are direct lines to European cities such as Trieste, Ljubljana, Vienna ... 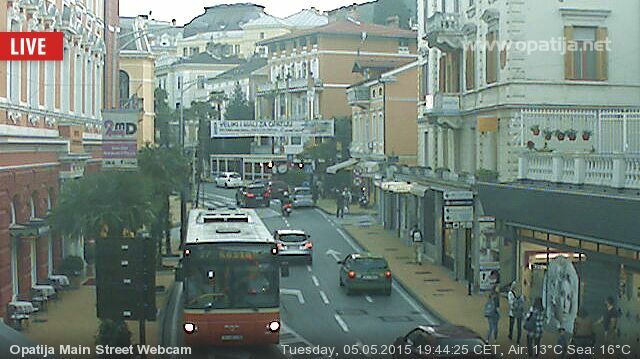 Bus station is located in the center of Opatija, near the Palace Hotel and Hotel Opatija. From Zagreb to Opatija, there are a number of regular, year-long lines. The ride takes about three hours, and all lines stop in Karlovac and Rijeka. Carriers to the specified route, are AP Varaždin (www.ap.hr), Croatia Bus (www.croatiabus.hr), Brioni (www.brioni.hr) and Autotrans Rijeka (www.autotrans.hr). If you arrived at the Rijeka, and you want a bus to Opatija, you can choose between public transport Autotrolej Rijeka (www.autotrolej.hr) and other carriers who have the occasional ride on that line, where most of them has Autotrans Rijeka. Autotrolej line No. 32 runs over 40 times a day on weekdays and somewhat less frequently on weekends. The ride takes about half an hour.